We have so many opportunities for a fun day with the kiddos! Here are a few events that we regularly host. Be sure to check out our monthly calendar for more info! Every child under 1 year is eligible to receive a FREE 6×6 tile with their footprints on it! 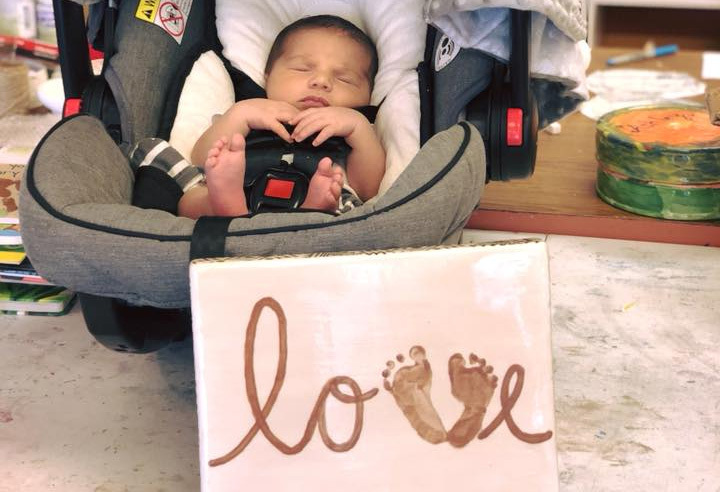 We allow you to decorate it however you like and then we help get those squirmy feet on your tile to create a keepsake you’ll cherish forever. Plus, you’ll receive 25% off of any additional footprint ceramic you purchase the same day! How about a mug for Grandma with those cute footsies? Or a plate for Dad? The possibilities are endless! Monday is Story Time Day in the studio. Each Monday at 10:30 am and 6:00 pm we read a seasonal, age appropriate book. 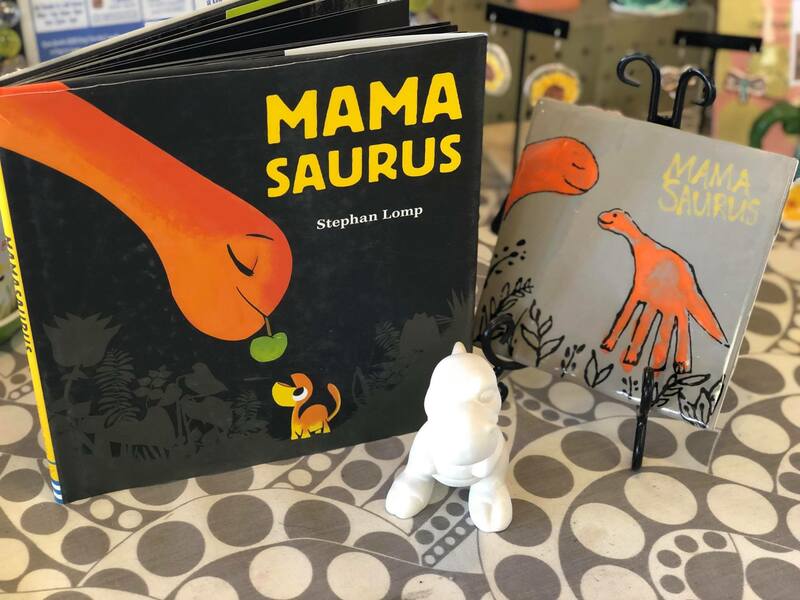 After our book, the little ones have the opportunity to create a handprint/footprint tile or a character from the book. There is no charge for the story and each item is usually $15-$17. Every child attending will receive a free cupcake from our café! There is no deposit required, but it is extremely helpful if you call the studio (352-789-6670) sign up online to pre-register. Story Time is ideal for artists that are two years old through those who haven’t started kindergarten yet!